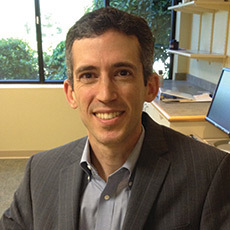 Eric D. Schwartz, M.D., joined Shields Radiology Associates in July 2009. Dr. Schwartz received his undergraduate degree from Dartmouth College and medical degree from Johns Hopkins University School of Medicine. He completed his radiology residency at University of Miami/Jackson Memorial Hospital, where he was Chief Resident from 1998 to 1999. Following a neuroradiology fellowship at the Hospital of the University of Pennsylvania, Dr. Schwartz held faculty appointments at the Hospital of the University of Pennsylvania and the University of Pittsburgh Medical Center. During that time, he received grants from the NIH, as well as private foundations, focusing on advanced MR imaging of spinal cord injury. In 2004, he received the Cornelius G. Dyke Memorial Award from the American Society of Neuroradiology for his research. In addition to his numerous peer-reviewed journal articles, he is co-author of the medical text Spinal Trauma: Imaging, Diagnosis, and Management, published in 2006. Dr. Schwartz is certified by the American Board of Radiology with a Certificate of Additional Qualification in Neuroradiology. He is a member of the American Society of Neuroradiology, American Society of Spine Radiology, American College of Radiology, Radiological Society of North America, and American Roentgen Ray Society.